Sora [昊] – arrived 14 Sep 2015. SWITCH Cafe Switch Seoha: Soseo Dreamlike [徐夏] on Humming Dolly 65 boy body. 14mm Switch Eclipse Enchanted eyes. Tomo [和] – arrived 10 Jan 2013. SWITCH Shiho [嘶雇] with 14mm dark green Enchanted eyes. Kaoru [薫] – arrived 10 Aug 2012. SWITCH 1st Anniversary Rusi [婁始] on Spiritdoll Elegance boy body. 18mm SWITCH Aquamarine Enchanted eyes. Rei[霊] – arrived 22 Sep 2012. SWITCH 2011 Winter Event Ancy Humming Dolly HD 57 girl body. 14mm Green Enchanted eyes. Leonie – arrived 18 Oct 2011. 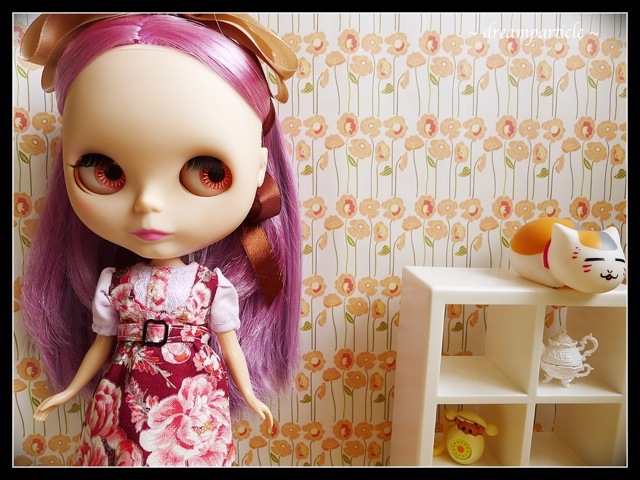 Neo Blythe – unknown model. Likely a Factory Blythe. Nanette – arrived 22 Jun 2011. 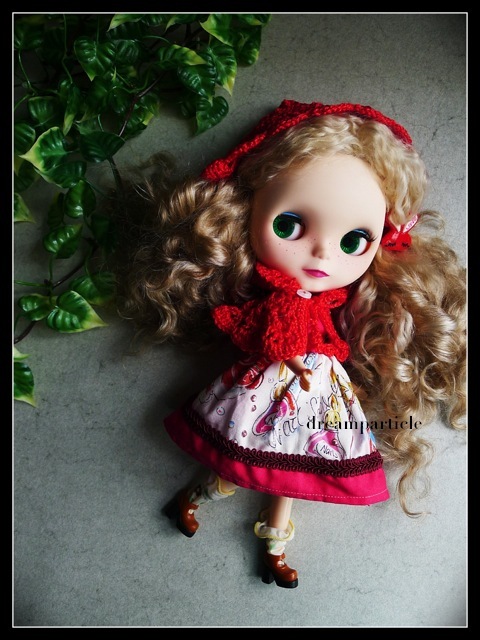 Simply Vanilla Neo Blythe by Takara (released Oct 2010) with customisation.